[SatNews] Talia, a network operator and provider of data, voice, and video services throughout the Middle East, Africa, Europe, the US and LATAM, has chosen the Newtec Dialog® multiservice platform to provide better services and provide more applications for its ever-increasing customer base. Aside from expanding its services among existing clientele, Talia is utilizing the Newtec Dialog platform to address needs identified in specific target markets, including enterprise, oil and gas and construction sectors. These new services are being launched on the Arabsat 5A (C-band) footprint and will be deployed to other satellites in the near future. Talia will implement this network immediately with several customers operating encrypted Virtual Private Networks (VPN) benefiting from the new platform and revolutionary Mx-DMA™ return link technology. As a multiservice platform, Newtec Dialog guarantees optimal modulation and bandwidth allocation, whether it is being used for enterprise, consumer broadband, cellular backhaul or mobility in all networks. 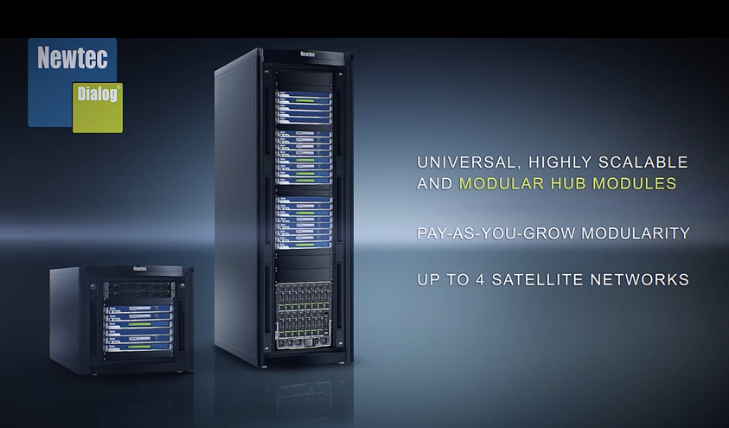 The hub also features Newtec’s patented return link technology—Mx-DMA, or Cross-Dimensional Multiple Access—which enables services to run more efficiently and reliably than ever before over satellite by combining the best features of MF-TDMA and SCPC technologies.